Whether it be for a physical or mental illness, individuals who are unable to work for medical reasons may have a valid claim for Social Security Disability (SSD) benefits awarded by the Social Security Administration (SSA). Even if they may qualify for benefits, sufferers of physical or mental conditions may wonder how to apply for benefits and what kind of proof to submit with an application or have questions about the social security application process. In this instance, you should speak with an experienced Los Angeles social security application lawyer. 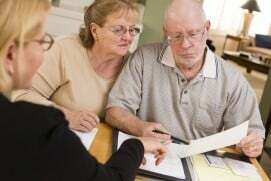 The Los Angeles Social Security Application Lawyer will help you through the entire process, starting with the paperwork to filing the application and then following the case till the time you are granted the SSD benefits. If they have never filled out an SSD application before, sufferers of ailments might be full of questions on the process and types of questions asked. Instead of trying to fill out an application to the best of their abilities on their own and running the risk of filling out the application improperly or incompletely, those who are interested in obtaining coverage from the SSA should work with an SSD benefits attorney. Along with helping the applicant prove that a condition exists, an attorney can also help the applicant show that it is the condition which prevents him or her from working, or is expected to prevent him or her from working, for a period of at least 12 months. The social security lawyers at The Law Offices of Tony Adderley can help you in this regard. Attorney Tony Adderley has been practicing as a Los Angeles Social Security Application Lawyer for many years. Professional and experienced Los Angeles social security application lawyer like Tony Adderley knows exactly what their clients need to do and what they need to present to the SSA in order to get the coverage that they deserve. Attorney Tony Adderley has been practicing as a social security disability attorney in California for many years. He is known as one of the best social security disability attorneys in California. He and his team of benefits advocates can help applicants for disability benefits through the entire initial application process, and even beyond if a claim happens to be denied. However, one of the best things a person can do to ensure that a claim isn’t denied is to have a team of benefits professionals help with the application process from start to finish. If there are discrepancies in a person’s application package, those discrepancies can be addressed before the application is submitted. Speak with a Los Angeles Social Security Application Lawyer to discuss and remove any discrepancies before submitting the application.